Mmmmm, mmm, mmm. pumpkin pie in a glass. It doesn’t get much better than this. With all the sugar-heavy pumpkin flavored treats hitting the shelves, why not treat yourself to something pumpkin that’s actually good for you? 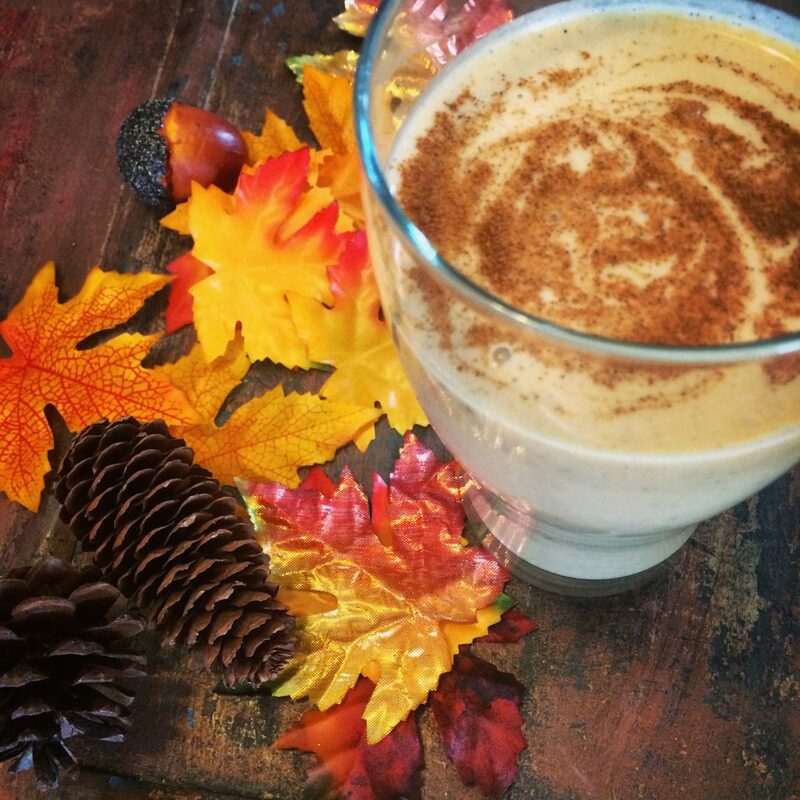 This pumpkin pie smoothie is sweetened au natural (with a date) and packs a protein punch from almond butter and Greek yogurt. Looking for antioxidants? It’s got loads from the canned pumpkin and cinnamon. 1. Blend and sip! You may need to blend a little longer on this one to break up the date. I also add in a few more whole ice cubes after it’s blended to get it super cold without watering it down. *If you don’t have dates, just use a smidge of agave nectar or pure maple syrup for a little sweetness. Want to add a little more protein umph? Read about the best and worst protein powders here.